Product prices and availability are accurate as of 2019-04-19 18:22:37 UTC and are subject to change. Any price and availability information displayed on http://www.amazon.com/ at the time of purchase will apply to the purchase of this product. Limited Time Offer: Free Patio Cover All Ohana Collection patio sets are made and sold exclusively by Ohana Depot. Please confirm you are ordering a genuine Ohana Collection product. 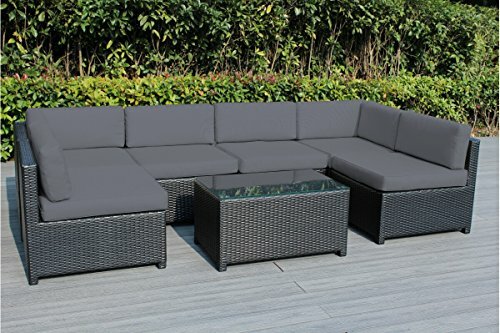 SIZE: *Corner Chair: 28.5"Wx28.5"Dx25"H *Armless Chair: 26"Wx28.5"Dx25"H *Coffee Table 31"Wx20"D * New Fade Resistant Cushion Covers by Spuncrylic® Beige cushions come with zipper for easy cleaning. Create a beautiful outdoor seating area that you have always dreamed of! 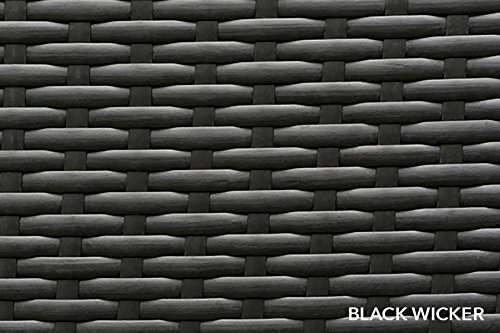 * Constructed from a lightweight aluminum frame and hand woven with a rich Black color PE Resin * Ergonomically Designed Back Cushion: Additional support for your lower back to keep you and your friends comfortable for hours! * Velcro Strips: To hold back and seat cushions together, Velcro strips have been added. 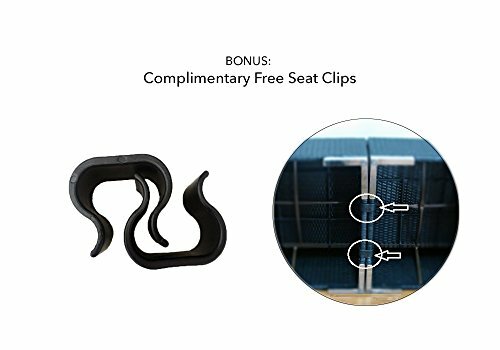 *Clippers: Each shipment also includes a set of clippers to hold chairs and sofas together to secure your desired configuration. The Ohana ( family ) collection will be the center for any outside gathering for years to come. A timeless design highlighted by clean lines and minimalist charm. Designed to keep you and your friends comfortable for hours! Purchase with Confidence! All Weather PE Black Resin Wicker Couch Set provides a modular design, which enables flexibility with many configuration options. New Ohana Depot Mezzo Collection: 7pc set includes 2 Corner Sofas + 4 Middle Sofas + 1 Coffee Table. Fade Resistant Cushion Covers come with zipper for easy cleaning. Special: Free Patio Cover 3 year warranty on framework No Assembly Required. This gives a more aesthetic pleasing finish and welded frames have studier construction. Curbside delivery with signature required. Please confirm you are ordering a genuine Ohana Collection product.